World's first production model swing-wing model aircraft! Experience two different flight styles in a single jet fighter!  Kyosho's many years of ducted fan airplane design experience combines with the latest brushless motor technology for dynamic electric jet airplane flight. Now a swing-wing adds an entirely new dimension. With control input one servo you can change the main wing's swept back angle during flight from your transmitter and dramatically change the flight characteristics at the same time. Spread the main wings out (to the forward most position) for excellent slow speed control and stability. Or swing the wings in tight for high-speed mode to experience the screaming excitement of jet airplane flight. The FRP fuselage combines with balsa main and tail wings in a lightweight structure with a stunning color finish. Depending on your skill level, the jet also has nimble stunt capability. Only this airplane provides twice the action and excitement.